Deutsche Bahn’s board member Karl-Friedrich Rausch takes over Thomas Lieb’s responsibilities, the former chief of DB Schenker. 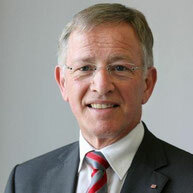 Lieb left Schenker on 31 March, with no official reasons given by the logistics company or its parent Deutsche Bahn (DB). As of 1 April, Rausch’s diverse spectrum of tasks within Deutsche Bahn has been expanded substantially. In addition to his multiple duties as head of transportation and logistics at the German railway giant the 63 year-old is now also in charge of DB Schenker’s business unit. With this key staffing decision the DB management board filled a gap, left by former DB Schenker helmsman Thomas Lieb who had announced his departure only 3 weeks ago. This surprising and unexpected move fueled speculations about Lieb’s motives. This all the more since neither he himself nor his employer delivered any official explanation for his decision. The most plausible reason seems to be that Lieb took responsibility for investigations by Cologne prosecutors into the activities of up to 10 Schenker managers in Saint Petersburg, Russia that are suspected of having been involved in briberies. The possible existence of any casual links between Lieb’s exit and the legal action taken by the investigating authorities was neither repudiated nor confirmed by DB Schenker up to now. Rausch will take over the Schenker duties only temporarily as interim manager. The 63 year-old will retire at the end of 2015. Due to his age he is no longer eligible for another term in office at Deutsche Bahn. The permanent replacements for both Rausch and Lieb have yet to be defined.